Why does it seem that no matter what you do, your email marketing campaigns are just not converting? The open rate is low, the click rate is lower, and the sales are almost non-existent. That can be really frustrating, especially when your sales are beginning to slump and you really need to kick your ecommerce into high gear. After all, email marketing has the highest return on investment (ROI) of other marketing channels like social media, paid search and direct mail. 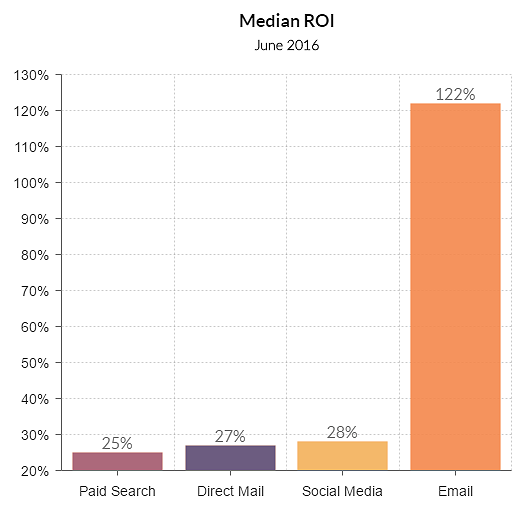 In fact, according to a 2016 survey of marketers, email marketing has a median ROI four times higher than social media. And yet, the ROI for yours doesn’t seem to be all that great. you’re not really tapping into the most fundamental aspect of marketing, which is human psychology. The good news is that you don’t need to get a degree in psychology in order to use email marketing psychology to your advantage. Instead, you’ll just need to do a little bit of imitation. 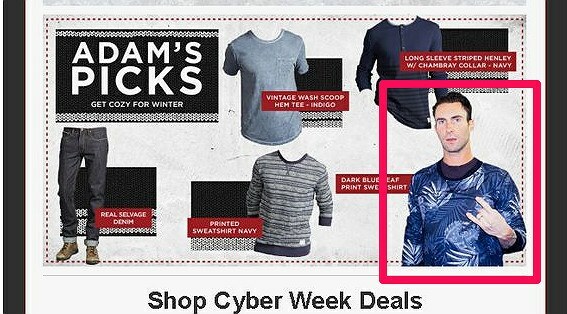 Today we’re going to look at 7 examples that show the psychology of email marketing. We’ll also look at the research that explains the psychology and how you can apply that to your ecommerce business. Scarcity describes a limitation in the amount of some good, like gold or the latest iPhone. This limitation can make people believe the product is very valuable, especially when it’s available for a short time. For example, if you go on Booking.com, you’ll see that there is often a notification showing that there are only a few rooms left. There’s also another notification above that shows how frequently the rooms have been booked in the last 24 hours. Scarcity and unavailability also trigger what’s now known as FOMO, or the Fear of Missing Out. FOMO is most often seen in social settings, where the person feels a certain level of social anxiety or general fear that you are missing out on some great event, experience, investment or all of the above. When you couple that urgency of scarcity with an idea of what’s being missed out on, you can trigger a strong response in the consumer. There’s a well-known experiment that discusses this type of scarcity and FOMO. In an experiment by Worchel, Lee and Adewole, they showed students similar cookies in two different jars. The students were asked to rate the value of the two jars of cookies. Initially, both jars of cookies were full, but then one jar had 8 of its cookies removed. Scarcity was introduced. That scarcity caused most of the students to choose the jar with only 2 cookies. The most common way to use this in your email marketing campaigns is to emphasize the scarcity of something. Normally, this is done by making something limited or only available for a certain time. 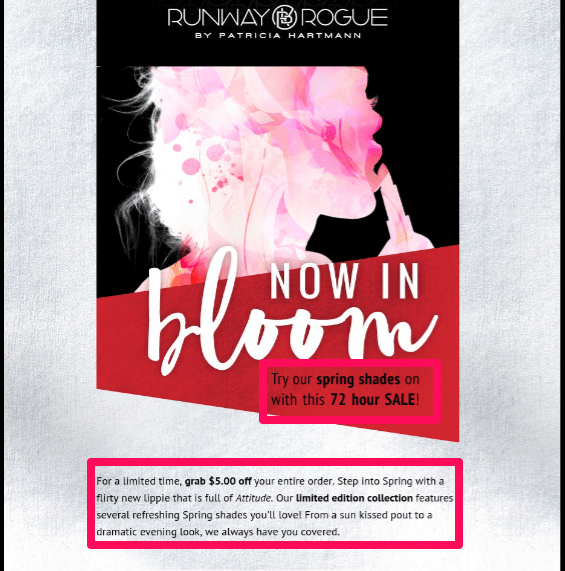 One of Omnisend’s customers, Runway Rogue, used this effectively in their email campaign below. Another great way to use both scarcity and FOMO is to combine urgency with popularity. 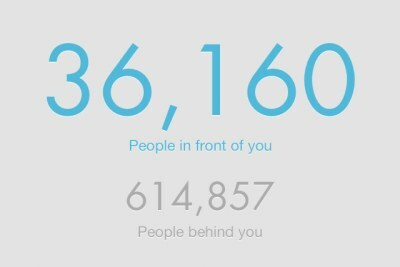 When Mailbox released their iPhone app in 2013, they had users signing up for the beta version. When they successfully signed up, they got a notice showing how many had signed up before them and how many were after them. 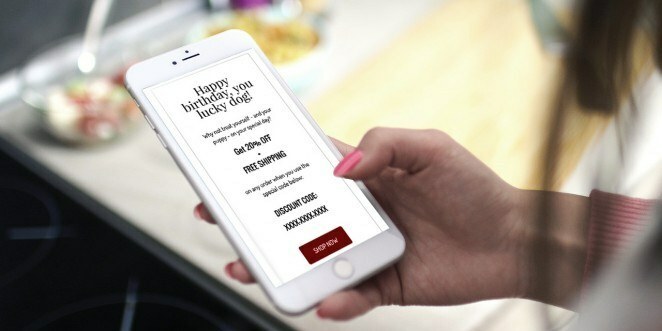 You can try something similar in your email marketing to really boost the excitement, pressure and conversions. Reciprocity is a general psychological aspect that describes the way people behave when they receive a gift from someone. Usually, they feel like they need to repay that person with a gift of similar value. For example, if you were at a Christmas party and someone handed you a nice gift, you would feel awkward or even anxious about not having a gift for that person in return. You may even go so far as buying a reciprocal gift soon after, or waiting until the next Christmas party to give your gift. Sometimes, people reciprocate with a gift of even higher value. 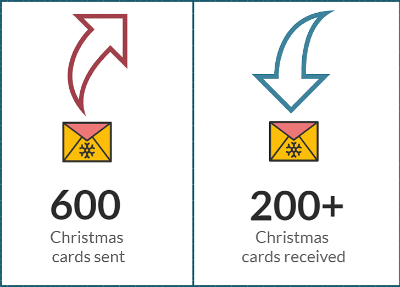 One of the most famous studies about reciprocity involved the researcher Philip Kunz sending Christmas cards to 600 people. Out of the 600 people, almost 35% sent a Christmas card back to Kunz. This is despite the fact that they had never even met. Another study showed that if doctors received even a cheap, free sponsored lunch (like a few slices of pizza), they were more likely to prescribe the sponsor’s brand-name medication to their Medicare patients. This is an amazing psychological method to tap into for your email marketing. Basically, if you give something away for free, your subscribers will want to reciprocate that by buying your products. There are many things you can give away for free for reciprocity to kick in. Of course, the higher the perceived value of the gift, the more likely the subscriber will be to buy something from you. 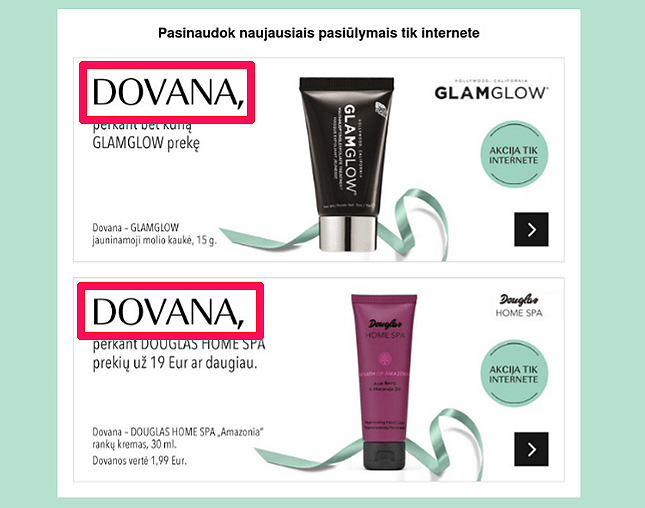 Another Omnisend customer, Douglas Lithuania, provided their subscribers with a gift in one of their newsletters (dovana meaning ‘gift’). The foot-in-the-door technique works by asking users to first agree to smaller requests. If they agree to the smaller requests, they are more likely to agree to the larger ones. This can become a core part of the psychology of email marketing, as you have a lot of opportunity to do the ‘little asks’ of your subscribers. This makes it easier for them to agree to the ‘big asks,’ like clicking on a link or buying your products. Your asks can come in any form, as long as the subscriber (or even blog reader or website visitor) voluntarily takes an action on your request. One of the earliest studies that tested this foot-in-the-door technique is from 1966 by Freedman and Fraser. In this experiment, the psychologists called housewives in California and asked them to discuss which household products they used. After three days, they called again, this time asking if 5-6 men could visit their homes and check their cupboards and storage for 2 hours. The women who were only given the small request (questions about household products) were more than twice as likely to agree to the big request (the physical inspection) than the housewives who were only given the big request. 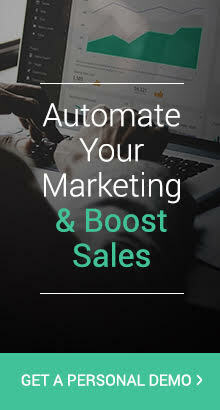 The best way to use the foot-in-the-door technique is not when you’re sending your sales or promotions campaigns. Those are the big asks. Instead, it’s when the user first signs up to your list. You should be using the double opt-in process. 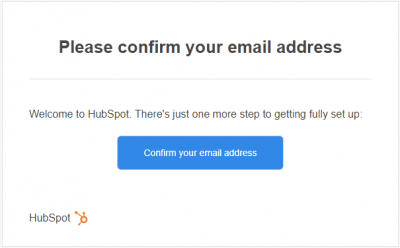 After the user enters their email information on the form on your website, you should send them an email confirmation which asks them to click on a link to be confirmed. This double opt-in acts like two small asks in rapid succession, as the user is first agreeing to sign up and then clicking the confirmation link. The email confirmation link is the most important, as it prepares the way for your subscribers to be more open to future emails (and, most importantly, clicking on the CTA). Omnisend customers will be able to use the double opt-in option soon. See more on our What’s Next page. Free seems to get down to the most basic part of human psychology, where it’s really hard for most people to resist. In the psychology of email marketing, the word free will present you with an easy opportunity to improve your conversions. Although many marketers believed that the word could lead to your emails ending up in the Spam folder, their thinking has now changed. Various studies have shown that there doesn’t seem to be a difference in the deliverability of emails if the word free is included or excluded. There are quite a few case studies and other research around the word free. However, one of the most popular in recent years comes from Dan Ariely’s Predictably Irrational. 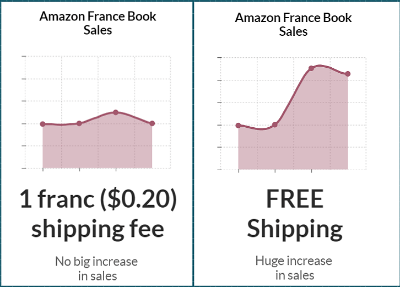 Here he discusses Amazon’s experience with free shipping (if buyers bought a second book). When they introduced it, they saw sales jump everywhere except for France. After investigating, they discovered that the French program didn’t offer free shipping, instead making it 1 franc (about $0.20). Although there’s virtually no difference between the two prices, 20 cents caused sales to remain stagnant. When they changed it to free, French sales jumped as well. This one is luckily easy to incorporate. All you need to do is use the word free in a logical, eye-catching place. You can put this in the title of the email body or on a CTA (call-to-action) button. You can also put it in the subject line in various locations (first, last, in brackets or parentheses, etc.) by doing A/B testing. For the most part, your subscribers (and you as a customer) have no idea what most things are worth. If you had to put a price on the iPhone 7, you’d probably put it at $700 – $800. But is that the actual worth, or is that the worth because that’s what Apple is charging you? It’s difficult to determine the worth of anything, because we tend to mix its monetary value with its personal value. That’s why sentimental objects (like an old plastic ring) can have high value for one person and mean almost nothing to another person. Price anchoring works by having you set the anchor (reference) price first so that your customer can compare other things to that initial price. The first price will then act as a yardstick to measure the other goods against. That’s why they say that best way to sell a $2,000 watch is to put it next to a $10,000 watch. The best way to sell a $2,000 watch is to put it next to a $10,000 watch. There are numerous studies that look at the way the brain needs anchoring points to determine the value of something. One revealing study by Northcraft and Neale asked respondents to estimate the value of the house. The respondents were both undergraduate students and real estate experts. They were given pamphlets that showed the surrounding homes, some with normal prices and others with exaggerated prices. Both the students and the experts were victims of anchoring as they drastically overestimated the price of the house based on the (fake) reference prices of surrounding homes. Using anchoring in your email marketing is luckily not too difficult. 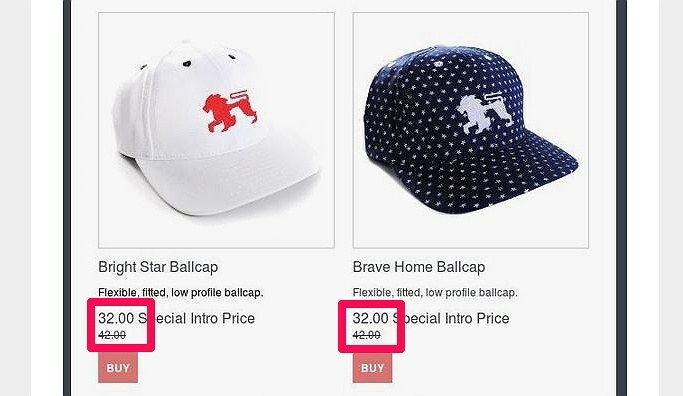 You simply have to show a reference point (original price) and the second price. If the second price is lower than the first one, then your subscribers will think it’s a great discount, similar to being able to sell the $2,000 watch. One way that many companies do this is by showing the new (lower) price next to the old price. This isn’t so much about what you should be doing. Rather, it’s about what you shouldn’t be doing. Here, we can simply call this the less-is-more approach, where you offer the subscribers fewer choices. Rather than decreasing your sales, it can actually help you increase your sales. This is because of what’s known as the paradox of choice (from Barry Schwartz’s book The Paradox of Choice – Why More Is Less). For certain industries, too many options can overwhelm the consumer and lead to a sort of buying paralysis. This paralysis could be because of self doubt or even FOMO (“If I choose product A, I might be missing out on all the value of B, or C, or D, or…”). However, by limiting the amount of available options, you can reduce or eliminate the buying paralysis and increase your sales. This is best based on an example in Schwartz’s book–the famous jam study. In 2000, Iyengar and Lepper showed that less is better. They showed consumers 24 different types of jam, and then a different group of consumers only 6 types of jam. While the 24 jams showed more interest, when it came time to purchase, more people bought from the display with only 6 types of jam. Schwartz also discusses the case of an office supplies company reducing the number of options in its catalogs—not because of psychology, but because it wanted to cut costs. To the company’s surprise, sales actually increased in all categories where the options were limited. You can use this psychological aspect in a few ways in your email marketing campaigns. One, which you should definitely do is to limit the number of products you’re showing in your emails. Instead of 5 different shirts, 5 different dresses and 10 different jeans styles, you can limit it to 1 or two for each category. Another aspect is to minimize the CTAs that you have in the email. If you have too many, it can distract the subscriber. But one carefully placed CTA can help reduce or eliminate the paradox of choice and lead to higher conversions. 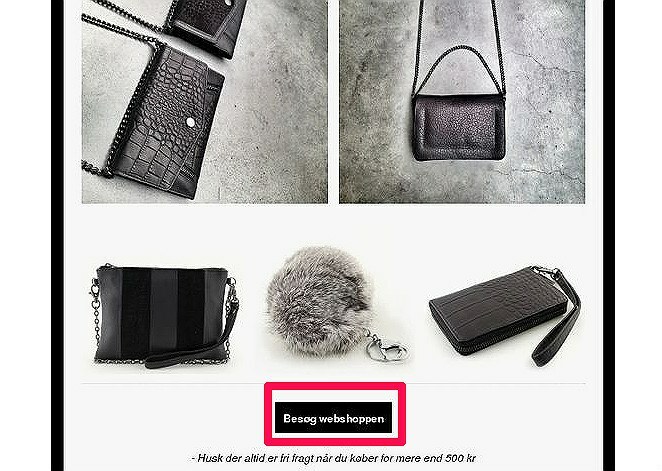 Below, you can see an example of Dixie’s email where there is only one CTA and limited images of their items. Social proof is the method by which people use the actions of others (celebrities, friends, or groups of people) to influence their decisions. 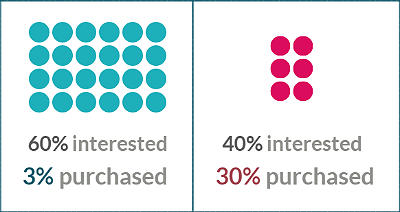 In marketing, it’s most often used in order to influence buyer behavior. If you know that your favorite celebrity or a trusted friend bought something, it may cause you to place a high value on that product. Unknown people can also impact your decision-making. Just by seeing that something is popular, people can be led to believe that it is valuable. That’s why virtually all blog posts have social counters at the top or bottom of the post. If something has a lot of social shares, then it’s probably a high-quality article. It’s also used effectively to persuade readers to sign up for a newsletter, like this one from the Neuromarketing blog. 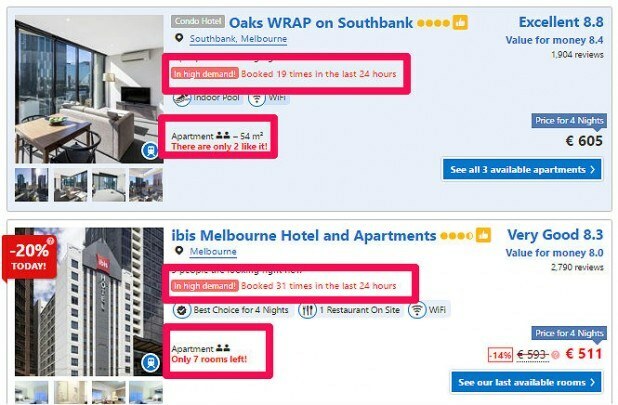 There are many modern case studies that show the effect of social proof. However, one of the oldest is Muzafer Sherif’s 1935 experiment. In it, he put the respondents in a dark room and asked them how far a dot of light was moving on the wall (it wasn’t actually moving, but appeared to). The numbers naturally varied. Then, he put the people in groups of three and asked them how much the dot of light was moving by estimating out loud. Even though they’d earlier given different answers when they were alone, now the groups all had one common answer. The estimates from the other people in the room influenced their opinions. You can use social proof in a variety of ways in your email marketing. One common way is to use testimonials and user ratings in your emails to influence the way that your subscribers view your products. There is one important point to mention before you start working on using these psychological phenomena in your email marketing. While studies may show one thing, and even if there is a lot of supporting evidence for it, that doesn’t mean it will work in all situations. For example, while the paradox of choice is true in most instances, there are times when more choices do lead to higher sales, such as when the consumers have lots of knowledge about the products. Different ecommerce stores will have different results, even when using the same email marketing psychology methods. One way to use these is to test the effectiveness of your email marketing campaigns on smaller segments of your subscriber list. For example, Omnisend just rolled out its new A/B testing feature. With that, you can test different versions of the subject line, sender’s name and sender’s email address. The other version (B) can have the subject line without ‘free.’ You can send A to 25% of your recipients and B to another 25%. After you see which is more effective, you can then send your email campaign to the remaining 50% of your recipients. Just be sure to send out the tests and the winning version at the same time (for example, 9:30 am on Tuesday for the tests and the same time on Wednesday). That way you’ll see the most consistent results. In general, you should never stop testing to see the many ways you can improve your email marketing. These psychological methods will definitely help you to improve your open rates and boost your conversions. Which psychology methods do you use in your email marketing campaigns? Which are the most effective? Let us know in the comments below! Get a personal 1-on-1 demo (that will superpower your next campaign)! 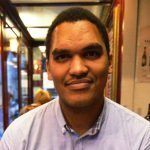 Bernard is a content marketer with a passion for good research and helping ecommerce businesses with their email marketing needs. You can find him on Twitter and LinkedIn. Hi Jax! So glad you enjoyed the piece. I think/know that if you implement even 2 of these tactics, you’ll see much better click rates/conversions. Please let us know how it goes, OK? For that situation, I think it’s best you treat your business as a service. Then, technically, you still have “products” to sell. 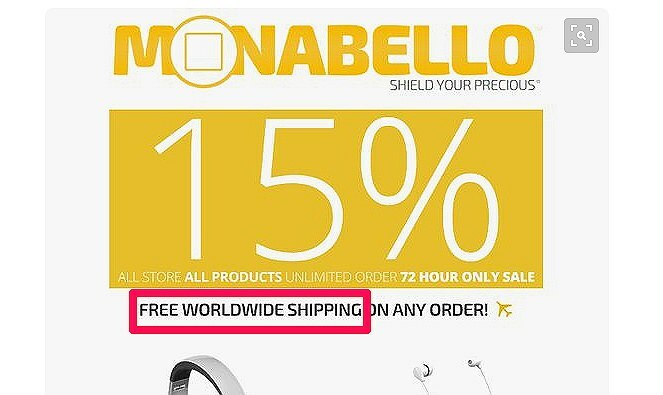 However, it’s quite impossible to give away shipping services for free, although you can and should have some offers, such as as discounted shipping (10% off, for example, for X amount of shipping costs, or however you calculate your prices). You may also have some physical products that you sell, such as boxes and other shipping goods, that you can give away for free or at a discounted price when a customer purchases a certain amount.